Bowers, Peter. Piper Cubs. TAB Books, 1993. A remorselessly detailed, competently written, and well-illustrated history of the Cub up to 1992. The organization is by model and modification, plus a few chapters on oddities like the Brodie Device and circus stunts. Buck, Rinker. Flight of Passage. Hyperion, 1997. One of my favorite books of all time. A beautifully written memoir of Rink Buck's flight across the United States with his older brother Kernahan in 1966 in a PA-11 they'd rebuilt themselves. This is a story about love--of flying, of Cubs, of brothers, and of the conflicted love between two boys and their outrageous dad. I can't recommend it too highly. Byars, Betsy. Coast to Coast. Delacorte, 1992. I believe this is a children's book. Christy, Joe. The Piper Classics. TAB Books, 1988. Erickson, George. True North. Lyons Press, 2002. Dentist-turned-bush pilot flies his PA-11 floatplane into the far reaches of the north. Available at Historic Aviation and you may be able to find a used copy at Amazon. Fairbairn, D.N., The Flying Sunbeam. Whitman Tell-A-Tale Books, 1950. Children's story illustrated by Betty Anderson. Francis, Devon. Mr. Piper and His Cubs. Iowa State University Press, 1973. Flying Books, 1996. The latter has an anonymous epilog and a tribute by William Piper Jr. I reckon this is the "authorized biography," and it has the faults and virtues of a company-sponsored book. (The 1996 edition was certainly sponsored, if not the original.) The detail is there, but so is the unquestioning adoration of "Mr. Piper" and the sometimes suspicious anecdotes. Did it really happen that way? I don't know, but this is the best account we've got. Glines, Carroll. Those Legendary Piper Cubs - The prolific historian-author recounts the Cub's history in war and peace in one of those handsome oversized books from Schiffer. 176 pages, 250+ color and B&W photographs, 8½"x 11", hardcover book. $44.95 Available at Historic Aviation and also at Amazon. Love, Terry. L-Birds: American Combat Liaison Aircraft of World War II. Flying Books, 2001. A magazine-sized paperback. Available at Amazon.com and at Historic Aviation. Peperell, Roger. Piper Aircraft: The Development and History of Piper Designs. Air-Britain, 1996. The first third of this large and detailed book lays out what appears to be the definitive account of the Cubs built by Taylor and Piper; the appendix has some stuff on foreign licensees. Phillips, Edward. Piper: A Legend Aloft. Flying Books, 1993. From the J-3 to modern low-wings; 400 photos, 170 pp. ——. Piper Cub, in War and Peace. Piper Aircraft, 1944. Politella, Dario. Operation Grasshopper. Robert Longo, 1958. Simbeck, Rob. Daughter of the Air: The Brief Soaring Life of Cornelia Fort. Publishers Group West, 1999. Mentions two Cubs caught in the Japanese attack on Pearl Harbor; one shot down. Sparks, Bill. Close Encounters of a Vagabond Ferry Pilot. Self-published, 2001. A great book about flying and Piper Aircraft in 1946-47. Strickland, Patricia. The Putt-Putt Air Force. FAA, 1971. Ten Eyck, Andrew. Jeeps in the Sky. Commonwealth, 1946. Triggs, James. The Piper Cub Story. TAB Books, 1978. Mass-market paperback. Very brief history with many photos and diagrams; especially welcome are several pages of reproductions from the 1941 J-3 Parts Manual. The utility of these items is somewhat limited by the cheap paper and small page size. Lots of homely information on preflighting, starting, and flying the airplane. Wakefield, Ken. The Fighting Grasshoppers: US Liaison Aircraft Operations in Europe, 1942-1945. Midland County Publications / Specialty Press, 1990. This is a handsome book on the Schiffer model--large format, many photographs, three-column magazine layout, gorgeously printed on slick paper. Alas, I find the text stupifyingly dull. Still, the information is there, and that's what matters. Wakefield, Ken. Lightplanes at War: Us Liaison Aircraft in Europe, 1942-1947. Tempus Publishing Ltd, 2000. 272 pages hardcover, a bit smaller than the earlier book. Haven't read it so don't know how it differs. Evidently out of print. Used copies may be available at Amazon.com, or use the ABE search engine on this page. Wheaton, Jim; illustrated by Sam Lyons. What's a Piper Cub?. Humpty Bump, 1997. 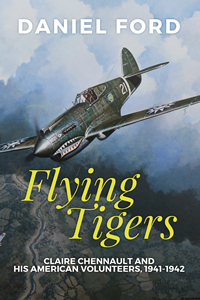 Lyons is a notable aviation artist, and this is a book for kids 4-8. 27 illustrations, 32 pp. [Todd Chisum] I got the book for my grand-daughter, and it has been a huge success in turning this two-year-old into a future Piper Cub pilot--DF. Also available at Historic Aviation. Williams, Dave. The Khaki Angel. Ethnic Enterprises, 2002. Story of an airplane crash in the Canadian Rockies and a glacier-top rescue attempt by a young pilot in a Super Cub.